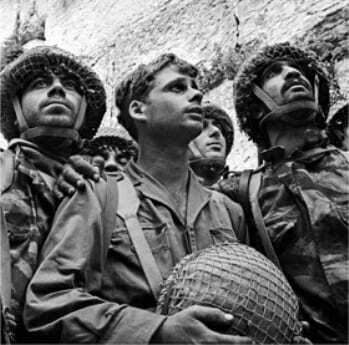 Who Conquered Jerusalem in 1967: God or Man? - Breaking Israel News | Latest News. Biblical Perspective. Who Conquered Jerusalem in 1967: God or Man? The 1967 Six Day War is usually described as a series of swift and daring battles that decisively saved Israel from overwhelming enemies. But some historians claim that the incredible victory in Jerusalem which will be celebrated Sunday on Israel’s Jerusalem Day, was won almost by accident, against the expressed desire of the Israeli high command. Others see the unlikely victory as coming from a higher authority, as the clearest expression of the will of God. In contrast to the highly detailed plans for Operation Focus, the precision airstrikes that wiped out the entire Egyptian air force in the first hours of the remarkably short war, there was no plan or intention to capture Jerusalem at the outset of the pre-emptive war. In his book The Battle for Jerusalem, historian and journalist Abraham Rabinovich describes how Jerusalem was absolutely not an objective at the outset. The Israeli government had political objectives in mind and Jerusalem was seen as a liability with no strategic worth. Jordan held East Jerusalem before the war. Despite the spiritual significance of the city, the Israeli government and military high command decided to ignore Jerusalem as being too costly an objective. They went to great lengths to avoid opening up an additional front against Jordan. Prime Minister Levi Eshkol sent a message to King Hussein of Jordan saying that Israel would not attack Jordan if Jordan did not attack first. Defense Minister Moshe Dayan ordered the commander of the Jordanian sector, General Uzi Narkiss, to avoid a confrontation with Jordan so that Israeli forces could be concentrated on the battle against Egypt. Jordan was also reluctant to engage Israel, but extraordinary circumstances dragged them into battle. Jordan had a pact with Egypt that required Jordan to turn over over command of its troops to Egyptian general, Abdel-Moneim Riad. Riad used his command to coax Israel into a confrontation in order to divert Israeli forces from overwhelmed Egyptian troops on the southern front. Toward the same end, Egyption radio falsely reported that the Jordanian army was about to attack Mount Scopus, a small enclave of 120 IDF soldiers positioned one mile behind Jordanian lines overlooking the Temple Mount. In response to the threat, a battalion of reserve soldiers was ordered into position. They fought a fierce battle in Ammunition Hill, a fortified Jordanian military post in the northern part of Jordanian-occupied East Jerusalem and the western slope of Mount Scopus. After a trench battle that brought combatants face-to-face, Israel had a toehold within sight of the Temple Mount. Other IDF units moved forward to the walls of the Old City but the Israeli cabinet ordered them to stand down. The Israeli government wanted to use their astounding military gains to negotiate an advantageous cease-fire with Jordan and trade East Jerusalem in an agreement. Jordan refused to negotiate. Egypt misled Jordan into believing that Arab forces were winning the war in the Sinai – a war they had already lost. Jordan believed that Israel was in a precarious position and any gains the Jews had made would be easily won back in the following days. The Israeli government decided to move forward to improve their bargaining position, but they did not intend to capture the city. It was seen by some as a political liability that would focus international ire on the small Jewish state. The next day, the cabinet gave the order to move forward with the intention of stopping the troops before they conquered the entire city. However, most of the Jordanian troops inside the Old City had already fled the previous night and resistance was light. 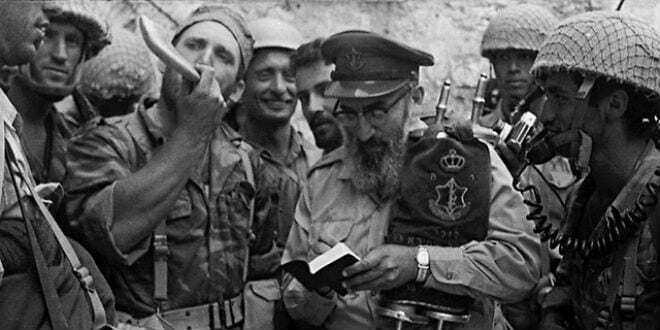 Before the government officials could call them back, IDF troops had conquered the city Jews had been praying towards for thousands of years. Just one hour after the Israeli cabinet authorized an attack on the Old City, the paratroop brigade commander entered the Lion’s Gate at the head of his troops. “Israel had concluded, almost as an afterthought, that the return to ancient Jerusalem was a dictate of history that the reborn Jewish state could not ignore,” Rabinovich wrote in the Jewish Chronicle. 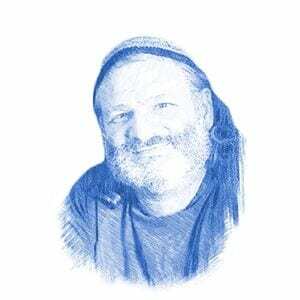 Rabbi Dov Begon, head of Yeshiva Machon Meir, was a foot soldier during the battle for Jerusalem in 1967. He described his experience to Breaking Israel News.